TEL AVIV, Israel–(BUSINESS WIRE)–Checkmarx, a global leader in application security testing, today announced availability of its FIPS compliance CxSAST offering. The new capability enables Checkmarx to comply with FIPS 140 regulations and maintain its strict guidelines across all Checkmarx implementations. Organizations delivering services to the federal space and organizations within the federal space can now run Checkmarx CxSAST in a FIPS compliant mode. This enables federal and government organizations bound by FIPS regulation to fully deploy Checkmarx solutions. Government organizations deal with a high volume of sensitive information and details that need to be secure. This new announcement and use of Checkmarx CxSAST will greatly improve processes and streamline security efforts from the initial coding until the rollout. 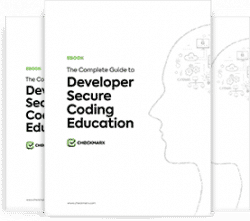 Checkmarx develops solutions used by developers and security professionals to identify and fix vulnerabilities in web and mobile applications early in the development lifecycle. It provides an easy and effective way for organizations to automate security testing within their Software Development Lifecycle (SDLC) which systematically eliminates software risk before applications are released. Amongst the company’s 1,000 customers are 5 of the world’s top 10 software vendors and many Fortune 500 and government organizations, including SAP, Samsung, Salesforce.com, Coca Cola and the US Army. For more information about Checkmarx, visit http://www.checkmarx.com or follow us on Twitter: @Checkmarx.